There are a few things you need to make sure of when you attend a movie. For one, you best make sure you've got your phone switched to silent. Also make sure your snacks are easily accessible. And, if you're a woman, make sure you're wearing heels, damn it! At least, that's the logic of the Cannes International Film Festival, which is currently under way in Cannes, France. 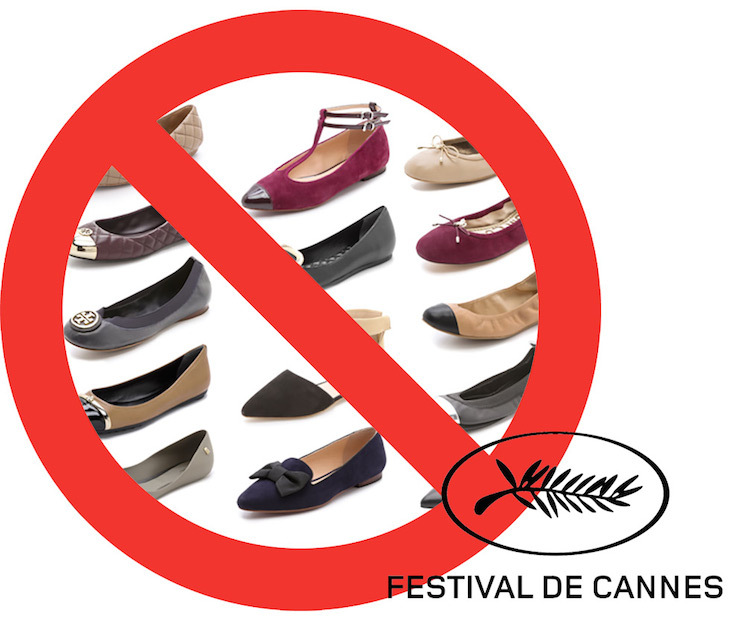 According to a report from Screen Daily, a handful of women were denied entry to Todd Haynes' Carol because they opted for flat footwear rather than heels. When reached for comment by Screen Daily, the festival's organizers declined to comment, though they did confirm that all women are required to wear high heels to their red carpet screenings. Asif Kapadia, director of the forthcoming Amy Winehouse documentary Amy, admitted that his wife was nearly denied entry to the festival for the same reason. Variety reports that Emily Blunt was asked about the flats controversy at a press conference to promote the forthcoming Dennis Villeneuve film Sicario. "I think everyone should wear flats, to be honest," she said. ""We shouldn't wear high heels anymore. That's just my point of view I prefer to wear Converse sneakers. That's very disappointing." Villeneuve added, "As a sign of protest, Benicio [del Toro], Josh [Brolin] and I will walk the stairs in high heels tonight."